Nepean Active Health Centre | Dr. Colin Campbell Chiropractic Professional IncorporatedB.Sc.H., B.P.H.E., A.R.T., D.C.
Dr. Campbell is an Ottawa native who played three years of Central Junior Hockey before attending Queen’s University, where he obtained a Bachelor of Science Honours degree in Biology and a Bachelor of Physical and Health Education in 1999. While at Queen’s he also played varsity football and started to seriously consider becoming a chiropractor himself after witnessing the results he achieved over the years with chiropractic care. 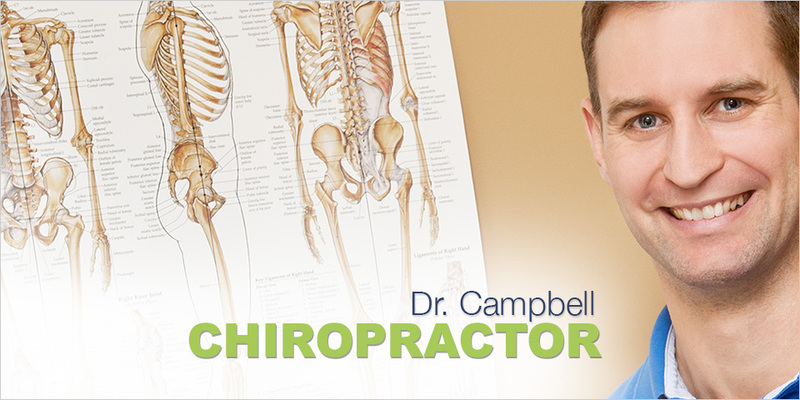 He graduated from the Canadian Memorial Chiropractic College (CMCC) in Toronto in 2003 and is an Injury Rehabilitation Specialist, having advanced training in diagnosing and rehabilitating all types of injuries. He is a fully certified Active Release Techniques® (ART®) practitioner and was a member of the treatment staff for the 2005 World Ironman Championships in Kona, Hawaii. His goal as a chiropractor is not only to help you recover quickly from your injury and get healthy again so you can return to your desired activities, but to teach you how to stay healthy. View more of Dr. Campbell’s reviews on RateMDs.com.